DISCLAIMER: This is a Hunter x Hunter Fan Fiction. I do not own Hunter x Hunter. The story contained within this fan fiction is the sole property of Fantasy Fan Leogan. Hunter x Hunter, its characters and trademarks are being owned by Shueisha/Fuji TV/Yoshihiro Togashi. Other trademarks mentioned in this fan fiction belongs to their respective copyright owners. This fan fiction is made for entertainment purposes only. No copyright infringement is intended by the author and the site owner. It was the nicest day for Kurapika and Pairo. After an exhausting clan festival, they went back to running around the Lukso woods. The sun was up but the shades of the trees protected their skin from burning. The swirling plants looked even more beautiful. They continued to chase each other until Pairo gave up and rolled his young body on the ground. The older Kurta went back to his friend and lay down beside him. 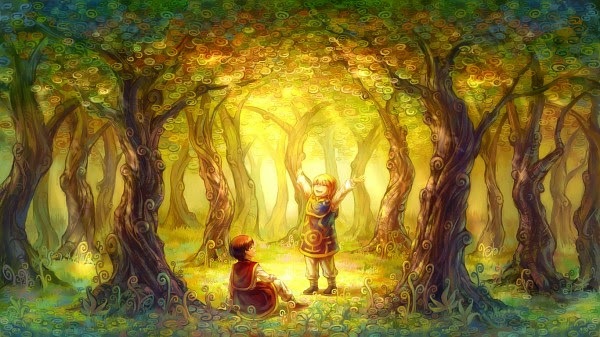 They breathed deeply wanting to get as much feel of the forest as they could before they depart. The bald guy dressed in a typical mafia suit lighted up a cigarette. He inspected each mafia leaders hoping to see some satisfied faces. Zenji was about to reap the respect of his friends when the emergency buzzer gave off a shooting sound. Surprised, he hurled a smoke and picked up the ringing phone by his side. He placed it on speaker mode for everyone to hear. “What was it?” Zenji angrily asked one of his men over the phone. “Genei...” The voice from the other line was choppy. “...they’re here!” The line got cut off afterwards. Wanting to get the job done as fast as he could, Illumi’s hands quickly grabbed for some pins and hurled those to Shalnark. The throw was not as strong as he anticipated. Shalnark paced to the left and the pins kissed the bathroom door. More of the same stuff was thrown to the young Genei Ryodan member. But all of those were sucked by a nearby vacuum cleaner. Shizuku was at the window with her best friend Blinky. “Oh. 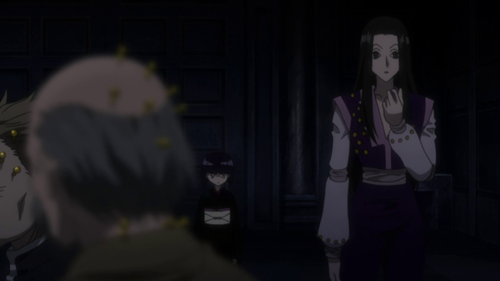 You got back up!” Illumi Zoldyck realized that he was in a pinch as Machi and Kortopi came inside the room. “Is that so? I thought you have plans to take me out as well.” Illumi switched to his casual aura. Though he would be able to manage to escape, he guessed that it won’t be necessary. “Hahaha! Not really. Danchou won’t be glad to hear that we killed you.” Shalnark found the right time to smile. Illumi had no plans of fighting the troupe. But with just one poisoned pin, he would be able to finish the job and escape. The money would be sent to his account and he could accept client requests again. But with the interference of the Phantom Troupe, the death of his client was absolute. “I guess this is karma. Anyway, Chrollo paid me thrice more than what the mafia promised me when I saved his life from my dad and grandpa.” The Zoldyck assassin remembered how he silenced the Ten Dons. Shalnark’s phone finally rang as anticipated. “You’re going to pay me? Thanks!” Illumi happily responded to his client. He handed the phone back to Shalnark. 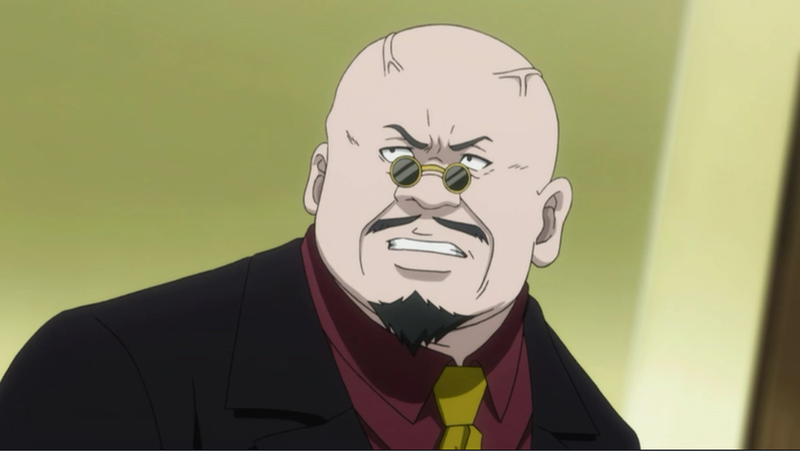 Phinks took the phone from the mafia fat-head and spoke to Shalnark. “Are you all set?” Phinks asked. “The target was secured. Do what you have to do.” The younger spider ended the call. Blood splattered on the luxurious walls of the boardroom. Lifeless money-grubbers could be found lying on the floor soaked with their own blood. Apart from the merciless assailants, a stout bald guy was still breathing but dead-scared for whatever awaits him. Zenji was not sure if the call did him a favor. He was wondering if his life would be spared after cancelling Illumi’s mission. He wired the money to the assassin’s account and somehow entertained the thought that he would be spared. But when Phinks grabbed his head, he realized that it doesn’t make a difference. The mafia guy ended up dead like the others. “So, shall we go to the auction site?” Feitan asked. “Yeah, looks like we’re done here.” Phinks answered. Kurapika was happily treading along a familiar path. He felt like he had been in this place before. The trees were tall and the rock formations were spectacular. As he went along, he could smell the scent that he was chasing back when he was young. Excited to figure out what was waiting for him at the end of the trail, he went in a hurry. He came across some unique swirling plants and trees. Right then and there, the Kurta realized that he was on his way back to the old village. As memories of the past came to him, the surrounding changed to pitch-black. 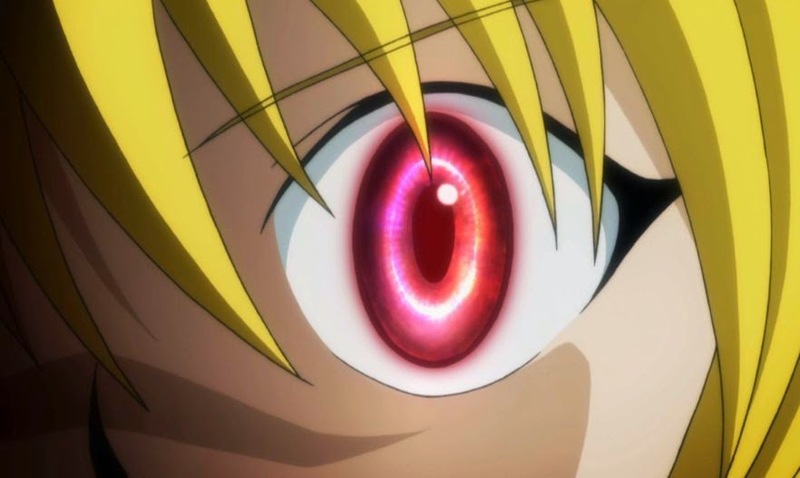 After a few moments, Kurapika caught sight of flares coming from the direction of his home. Thought struck him that it might be the day when his clan was massacred. He immediately paced to the direction of the bonfire wishing that he could be of help. He heard cries as he got closer to the place. 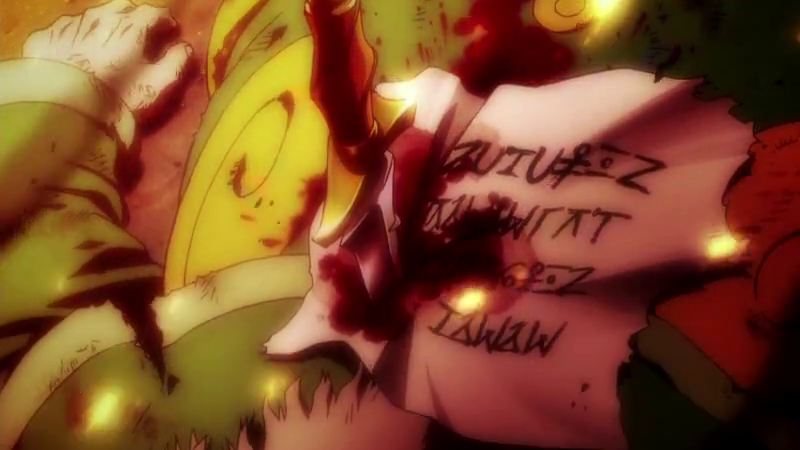 Kurapika arrived at a scene where he saw pile of dead bodies with eyes gouged. His parents had their bodies mutilated and eyes taken off. The Kurta was shaking because of the dreadful sight. He did not have the time to cry as he hadn’t seen the body of his best friend yet. A note was fixed on one of the bodies with a knife. It said, "We reject no one, so take nothing from us." "We reject no one, so take nothing from us." “Kurapika, help me!” A voice called for his help from somewhere. “Pairo? Wait for me!” Kurapika searched for the screams and when he reached the destination, he was shocked by the next events. Chrollo Lucilfer was standing at the middle of the slaughtering group. His comrades took the life out of the remaining Kurta. One by one, heads were chopped off. Pairo was the last to go. Upon realizing what was about to happen to his friend, Kurapika ran towards the execution platform. He threw his right hand to Pairo’s direction hoping that he could take him away with his dowsing chain. Unfortunately, his chains did not appear. Kurapika looked at his arm. He could not believe that he could not use his Nen. “What is happening?” He asked himself. He looked back to Pairo who closed his eyes hoping that he couldn’t feel pain while his head was being separated from his torso. Kurapika screamed at the top of his lungs. Pairo’s head rolled towards his direction. He looked at his poor friend’s face with its eyes still closed. He knelt down and tried to touch his friend. He was too frustrated that he wasn’t able to help his loved ones. Suddenly, Pairo’s eyes opened wide and stared at him. Kurapika’s heart jumped and it sent him back to reality. The dream that he had was different from the others. He wanted to blame himself as he couldn’t protect his clan even in his own dreams. “If I could not kill a single spider in my dreams, I’ll do it for real!” Kurapika got up slowly. His whole body was still aching after he crashed on the mansion wall. Illumi was stronger and his Nen ability could not help him fight at the fullest. He remembered his boss and quickly ran to the direction of Neon Nostrade’s room. Before he could step inside, he could hear people talking. Kurapika was sure that Illumi was one of those. He walked quietly and was aghast of the presence of the Genei Ryodan. “Bastards... What are you doing here?” Kurapika was surprised to meet some of his clan’s assailants. However, he was expected by the Phantom Troupe members. “O-Oh... I’m out of here. See ya!” Illumi fled out of the window. The brawl that was about to happen did not concern him. “Don’t expect me to give thanks. 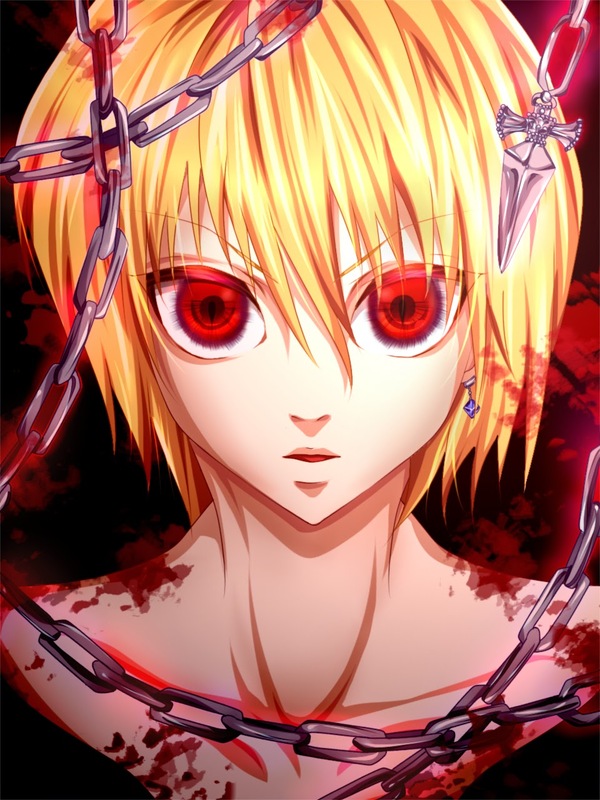 I will kill you all.” Kurapika brought out his chains.